The new Hyundai Xcient heavy truck was introduced on the South Korean home market and in China for as far as I know. 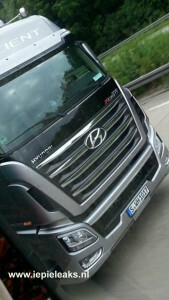 Now some time ago my Iepieleaks friends have sent me some photo’s of the truck, driving with German licence plates. I don’t have a clou how that happened because I think the truck is not for sale yet in Europe. Now today one of the Iepieleaks spy squad sent me photo’s of an Xcient truck with low roof from Russia. 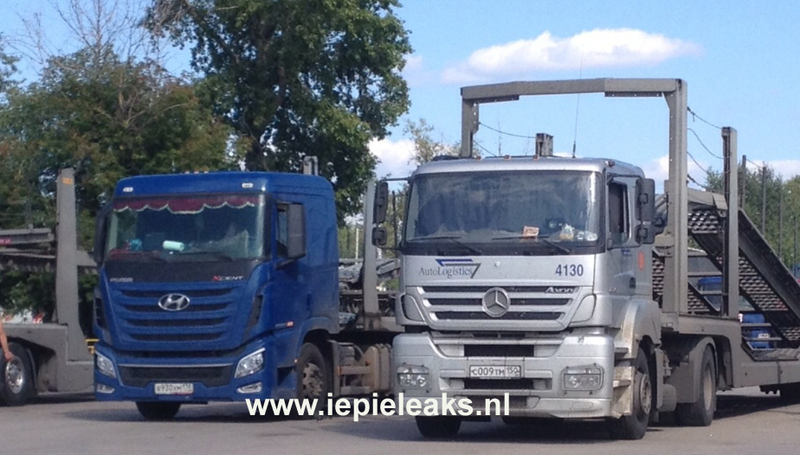 this one was spotted today at about 1000 km east of Moscow. 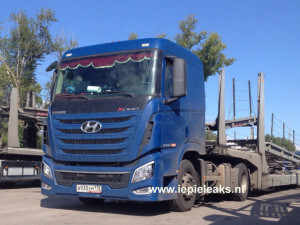 So, the Koreans seem to be penetrating the market anyway with this good looking heavy truck!